Quote: A fine is a tax for doing wrong. A tax is a fine for doing well. The apprentice must have mixed a dodgy mixer full of mortar! bees etc will drill a hole, so definitely not them. Looks to me like they had a bad batch of mortar when they built the house and a lot of it has washed out. I've also heard of bees/wasps eating mortar so perhaps keep an eye out later in the year. Very many thanks for your advice, woodsmith, and to everyone who took the time to have a look - it's very much appreciated. I'll make a start on this tomorrow. 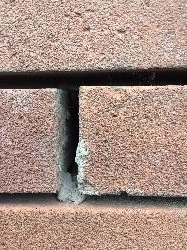 I think all you can do is take out any lose material and point with the 6:1:1 mortar mix I recommended making sure you fill to the back of the brick without getting much mortar onto the cavity. I very thin trowel used for dressing mastic would help you do this. Mix the mortar to a dryish mix, it should look a bit crumbly but if you squeeze some in your hand it should form a nice smooth sausage. Try to keep the mortar off the face of the bricks and last thing you do each day is to brush the face of the bricks with a hand brush diagonally across the wall as this will remove any cement you do get on the wall. It will take you quite a bit of time to do this properly but it isn't rocket science and absolutely needs doing as soon as you can. It might of been pressure washed in that area, as he says thats the bricks here are really clean. Is it a timber framed building? Internal skin of that wall solid or plasterboard? 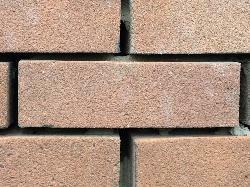 The bricks will be 100mm, the cavity 50mm, so would spect 150mm max if the mortar had gone completely. You need to rake out all the loose stuff, and replace, but carefully in sections if your mortar really is vanishing like it sounds. 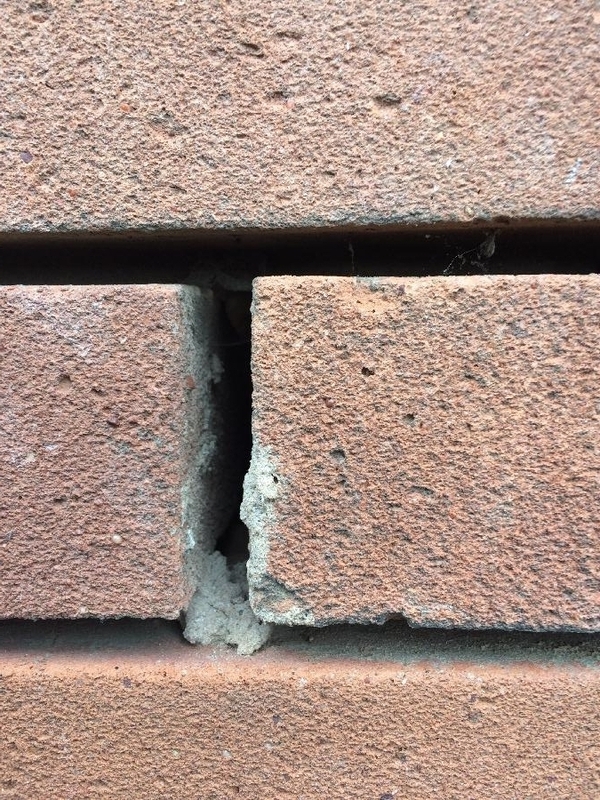 Houses built in the 60's usually had a cavity of 2 to 3 inches. 20cm is roughly about 8 inches which seems strange for a wall built then. The house was built in the 1960s. 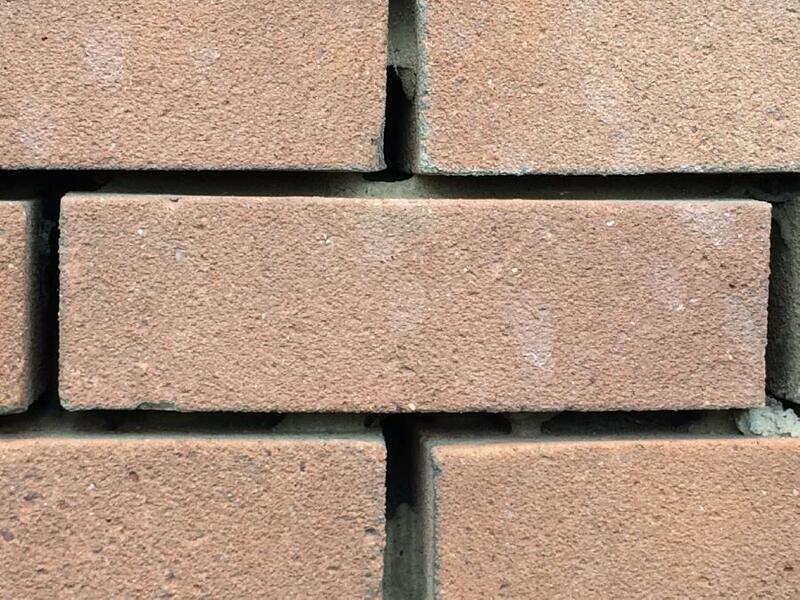 I'm confused too - it's not like other parts of the brickwork, where I can see that the pointing just needs redone. The bricks here look completely clean. So what is stopping those bricks from falling down? I'm confused. Were they ever pointed ? They don't look as if they were. Is this a new build ? Definitely 20cm not 20mm. I know....I was suprised too. 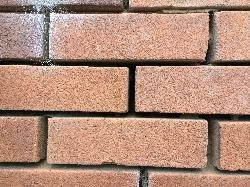 It's not the same at every brick, as you can see in the pictures, but definitely the case for a few. 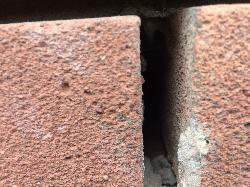 I'm not sure how you have a 20cm cavity, is the wall a cavity wall and you are measuring through the cavity into a gap in the mortar on the internal skin? Generally the mortar is raked out to about 25mm and then replaced with a mortar mix of six parts builders sand to one part lime and one part Portland cement. 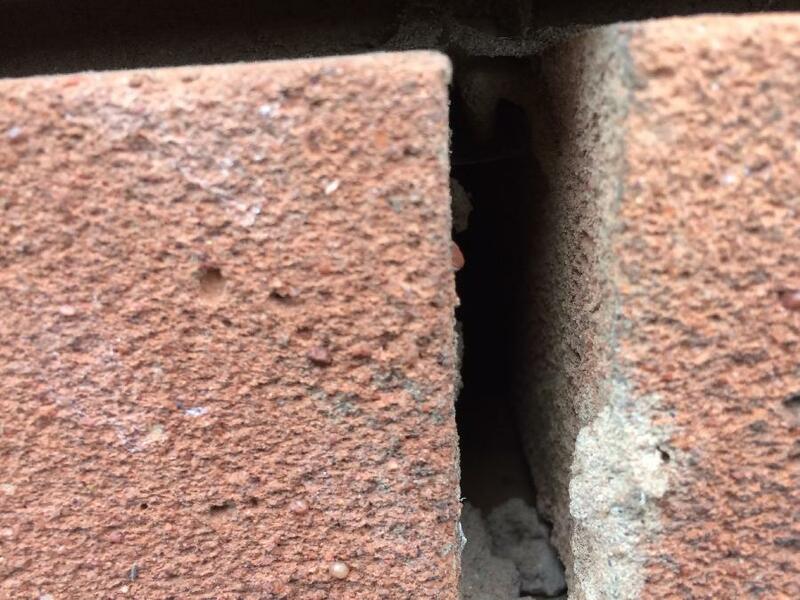 Any larger voids in the mortar would be filled with the same mix making sure you don't bridge the cavity in a cavity wall. Alternatively you can buy small bags of ready mixed mortar from B&Q etc if you don't anticipate using a lot. 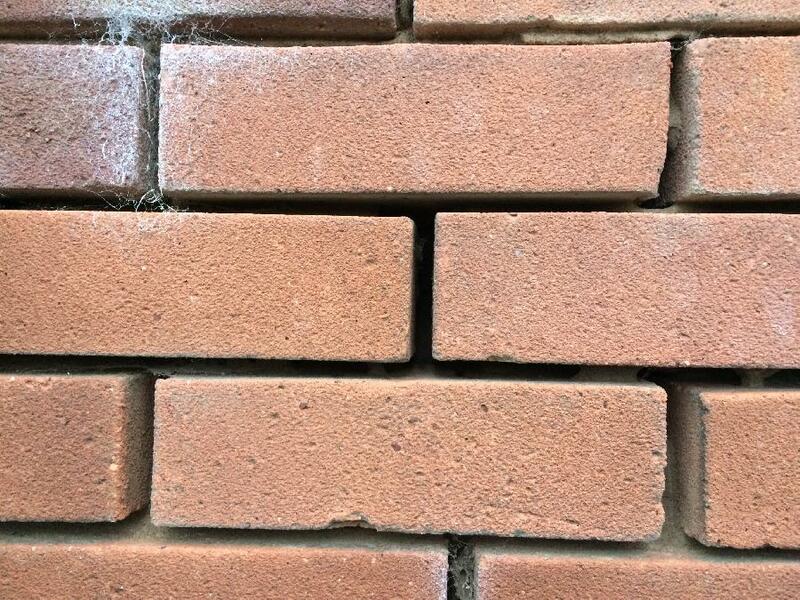 One thing worth trying though is to point a small area, leave it a couple of days and check that the colour is similar to the existing pointing, if it isn't it would be worth trying a sand from another supplier. That is unless the house has been built with lime mortar (you can easily tell if you have lime mortar, it is light in colour and full of large bits of stony sand and often small lumps of lime which stand out white). If this is the case you need to use 3 parts sharp sand to one part lime, but just to complicate things this is not the same sort of lime you use in a cement mortar mix. Lime for lime mortar is called NHL lime but if you tell them at the builders merchant they should point you to the right product. I've got a couple of areas on the exterior walls of my house that could do with repointing - and I've decided to do this myself. 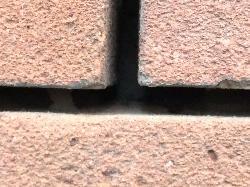 On having a closer look, I noticed that the cavity between the bricks is really deep in some places - as much as 20cm. Should I be looking to try and fill that with something like expanding foam until the cavity is more shallow, and then proceed with pointing as normal? Or try to pack it with mortar - or is there some other thing I should be doing?